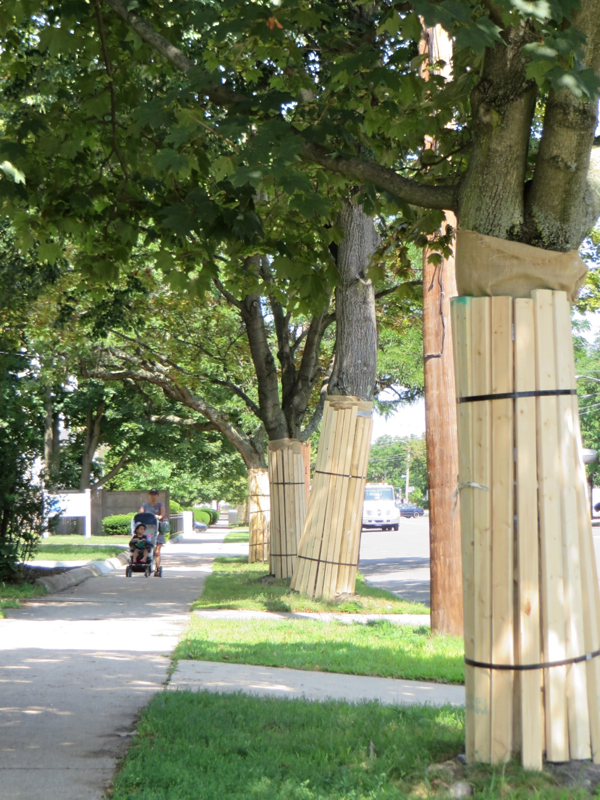 Like some conceptual art project, the trees of East Arlington donned wooden jackets last week. Board-swathed tree trunks stand sentinel west of Orvis Rd. View towards Arlington Center. I can almost hear the art critics explaining the meaning of cloaking living trees in milled lumber. In reality, the installation is to protect the trees, all on or near Mass. Ave., during construction. 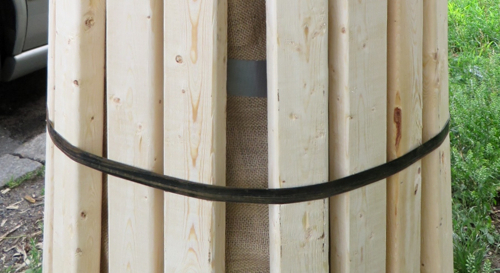 They are wrapped in burlap and then boards are made fast around the trunks with metal ribbons. New trees will be planted, according to the project drawings. Boards secured by metal bands over burlap secured by duct tape. Click here for recent construction news.